On the resulting page, click the “Resize” button. 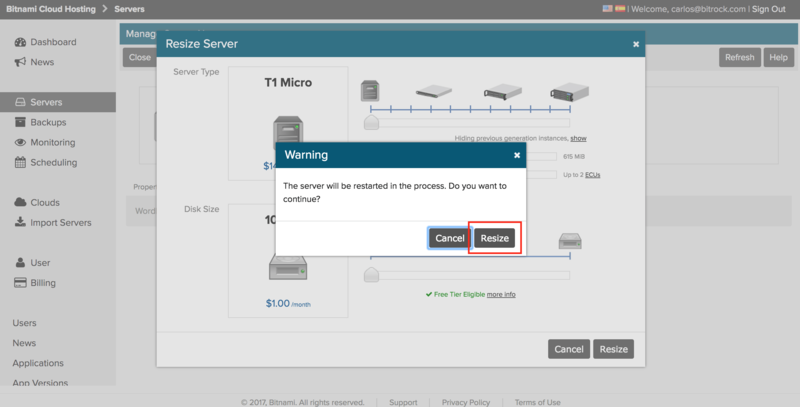 In the resulting dialog, select the new server type and adjust key parameters, such as the disk size and available memory. Click the “Resize” button once done. 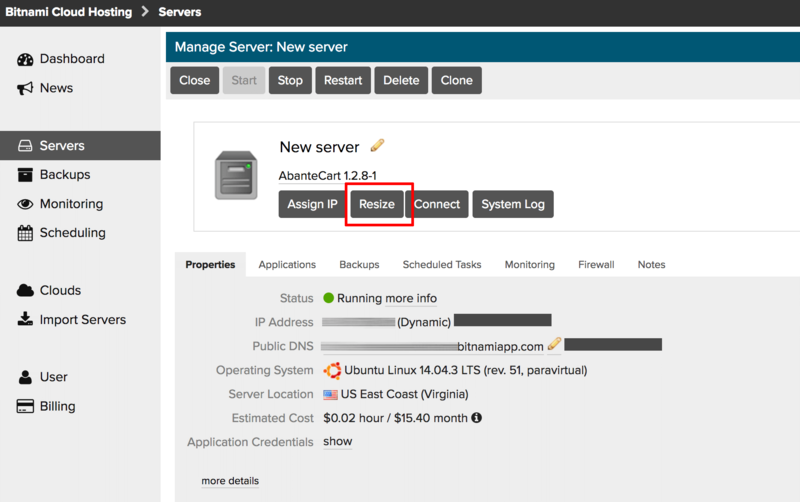 Confirm that the server can be restarted by clicking the “Resize” button in the warning dialog. 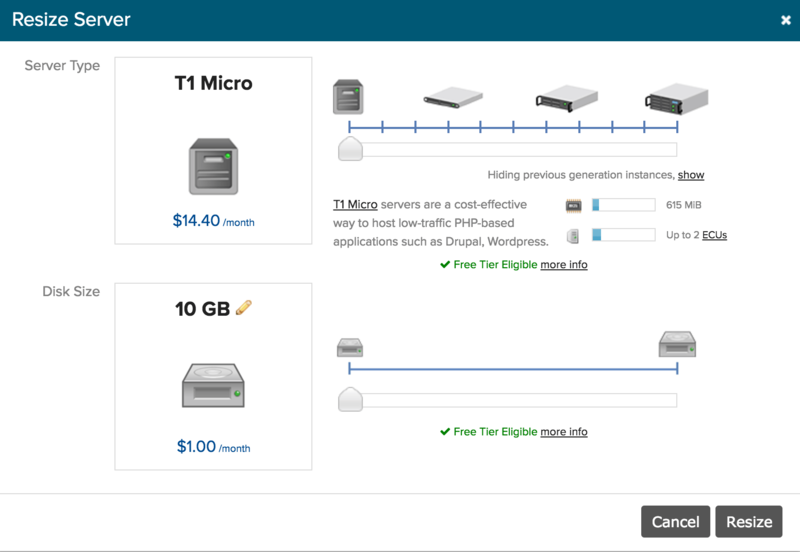 The server should restart using the new server type.